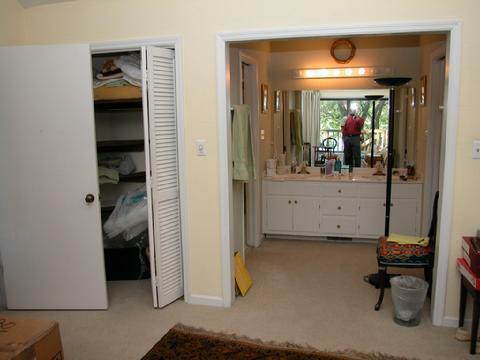 The small closet area was incorporated into the space for the shower and toilet, creating a spacious master bathing area. 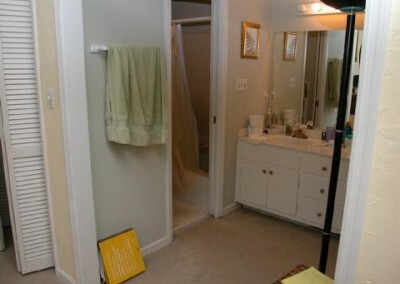 The bathroom remodel was part of a whole house remodel project. 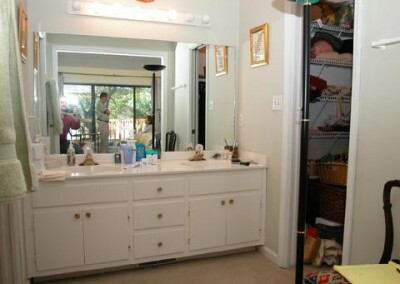 And just like this bathroom, everything this client selected is beautiful. 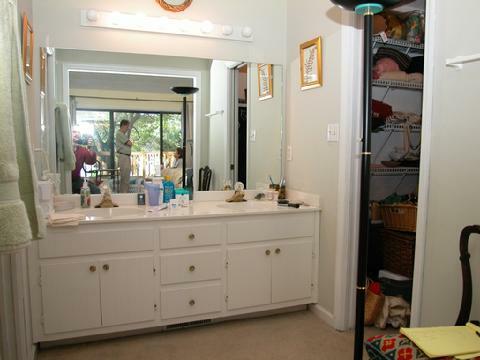 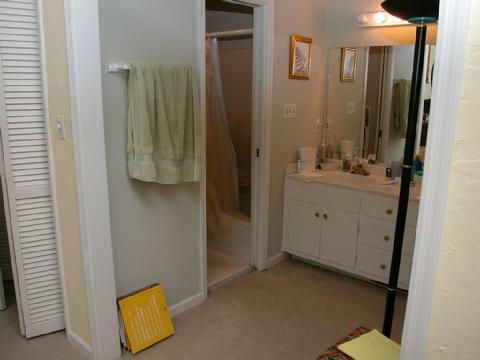 This bathroom was originally three areas, the sink area, the toilet and tub in an adjacent 5’X5′ space and a separate closet which opened into the master bedroom.